Teaching your students to use the library independently is one of the best educational gifts you can give them. Most public libraries in the United States arrange their books according to the Dewey Decimal Classification, so teaching the basics of the “DDC” is one of the most important things you’ll want to do. 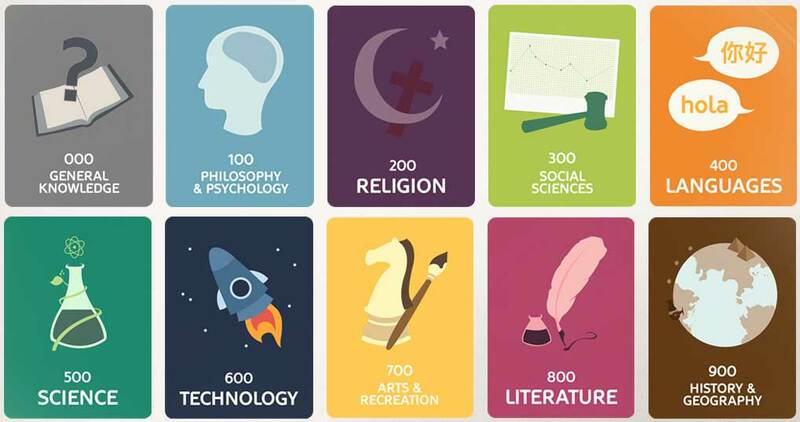 If you start in September at the beginning of the traditional school year and run until July, you can “adopt” one of the major Dewey Decimal classes each month and cover the whole of knowledge (!) in a year. Our first Library Tuesday post each month will invite you to do just that, and since this is the first Library Tuesday post of the entire River Houses year, we’ll start this month by inviting you to orient your students to the organization of your local library as a whole. On your next library visit, take a few minutes to find where the 000s are, and then follow the maze of shelves through the library all the way to the 999s. You can make it a fun little adventure for your children, tracing where the line of numbers goes through the building. Don’t try to memorize the classification or analyze it in detail at this point — just follow the numbers from beginning to end, and your little lesson is done. Be sure your students understand that any library that uses the Dewey Decimal Classification will be arranged the same way: the numbers will run from 000 to 999 in every Dewey-based library you visit, and if you’re interested in, say, French literature, you’ll find it in the 840s in both the small-town library near you and in the big-city library across the country. Learning these library basics will help your students become life-long learners and will ensure that they’ll feel right at home in any library they visit.